Sept. 27-29 at Summerland Waterfront Resort. 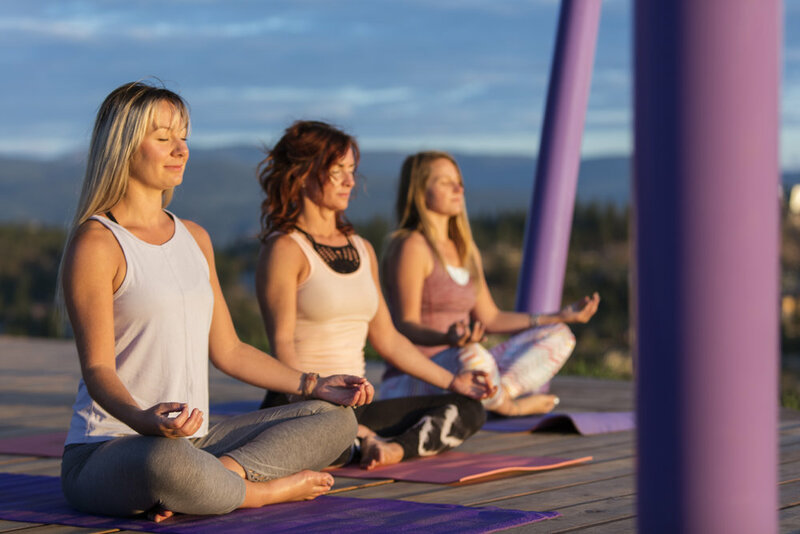 The Vino & Vinyasa Retreat is the original luxurious weekend getaway in the sun-drenched Okanagan complete with modern and SPACIOUS accommodations, the finest local wine, juicy and detoxifying yoga classes, and farm-to-table meals. Payment Policy- A $300 deposit is required to hold your spot in the retreat. The remaining balance is due one week before the retreat. Prices do not include, alcoholic beverages and transportation to and from the resorts. All deposits and payments are non-refundable. Please understand that your registration is not complete until this form has been submitted and your deposit or full payment has been received. I/we agree that Martini Yoga/Laura Martini shall not be held responsible for any damage, loss or delay. I/we agree to assume all risks associated with the yoga retreat and agree that no liability attached to Laura Martini for any personal injury, illness, delay, loss or damages to property or health. Laura Martini reserves the right to change the program schedule if necessary. Laura Martini shall not be held liable or responsible for any expenses, including but not limited to lodging, meals, and transportation incurred by delays or other uncontrollable issues outside of our program including extreme weather. In the event that you need to cancel because of unexpected circumstances, and as a general practice, I highly recommend that you protect your investment with travel insurance for your trip. Thank you! I can't wait to retreat with you this year:) I'll send you an email a couple of weeks before our retreat with all the logistics. At that time your final payment will be due as well. If you have any questions before then, please don't hesitate to email me! laura@martiniyoga.ca. Cheers and Namaste! Laura’s retreats are fantastic! I leave the retreat feeling renewed and ready to conquer my busy life. She helps me to feel centred. 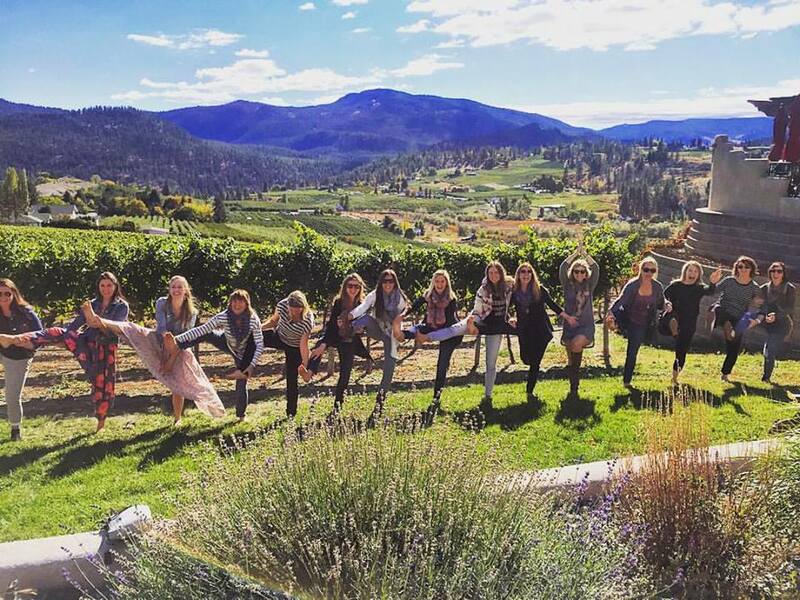 The retreat was a great mix of beautiful scenery, fun yoga practice, delicious food and amazing company. Oh and tasty wine, who could forget that! It was a relaxing and rejuvenating experience which I hope to repeat! Check out at 11 am and goodbyes! 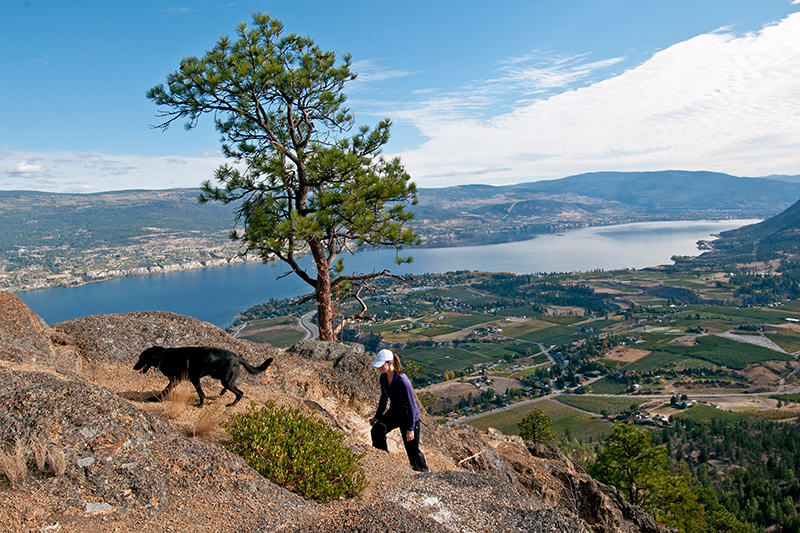 Amidst the beauty of vineyards and dramatic landscapes, the Summerland Waterfront Resort & Spa is set on a secluded stretch of Lake Okanagan shoreline, 15 minutes north of Penticton and 45 minutes south of Kelowna. The beachfront resort features 115 condo-style suites, each well appointed with a full kitchen, dining and living areas, fireplace and most offer a balcony for stunning lakefront views. You are invited to live the Okanagan lifestyle and enjoy two outdoor hot tubs, a large outdoor pool with sundeck, barbecues, cozy beachfront, boat rentals, fitness room, meeting and group venues, as well as the Beyond Wrapture Day Spa. Centred in the mountains between Kalamalka and Okanagan Lakes, Predator Ridge Resort has one of the most scenic backdrops in North America. Each of the condo-style suites comes with a full kitchen, soaker tub, fireplace and patio. Only 20 minutes from Kelowna International Airport, Predator Ridge is home to two award-winning golf courses, scenic walking trails, epic views, and neighbour to world-class spa resort, Sparkling Hill. 1 custom wine tour with the classiest wine tour company in the valley, Elite Mile Tours. 3 compassionate and detoxifying "All Levels" yoga classes and guided discussion with Laura Martini including Vinyasa Flow Yoga and Yin Yoga. The tips for all the hospitality staff the entire weekend. This little getaway is just what the doctor ordered. One weekend of sun, relaxation, presence, sipping and stretching will increase your productivity, compassion, and ability to take care of the people in your life. Fill up your cup! Payment Policy- A $300 deposit is required to hold your spot in the retreat. The remaining balance is due one week before the retreat. Prices do not include alcoholic beverages and transportation to and from the resorts. All deposits and payments are non-refundable. Please understand that your registration is not complete until this form has been submitted and your deposit or full payment has been received. I/we agree that Martini Yoga/Laura Martini shall not be held responsible for any damage, loss or delay. I/we agree to assume all risks associated with the yoga retreat and agree that no liability attached to Laura Martini for any personal injury, illness, delay, loss or damages to property or health. Laura Martini reserves the right to change the program schedule if necessary. Laura Martini shall not be held liable or responsible for any expenses, including but not limited to lodging, meals, and transportation incurred by delays or other uncontrollable issues outside of our program including extreme weather. In the event that you need to cancel because of unexpected circumstances, and as a general practice, I highly recommend that you protect your investment with travel insurance for your trip. A $300 non-refundable deposit is required to book your spot in the retreat. There are only 18 spots so book quickly! The remainder is due one week before the retreat commences. Please make all payments/deposits in cash, etransfer to laura@martiniyoga.ca, PayPal (click the Buy Now button below), or cheque to Martini Yoga (address available upon request). Please note that transportation to and from the resort (there is free parking available), alcoholic beverages with meals, Saturday dinner (you have a kitchenette in your suite if you prefer to cook) are not included in the above price. Questions? Email me at laura@martiniyoga.ca. To confirm your registration, please submit your retreat payment (via PayPal above, email transfer, or cheque in the mail) and fill out the registration form. You may put down just a $300 deposit now and pay the remainder a week before the retreat if that works better for you:) Just let Laura know -> laura@martiniyoga.ca. Cheers and Namaste!